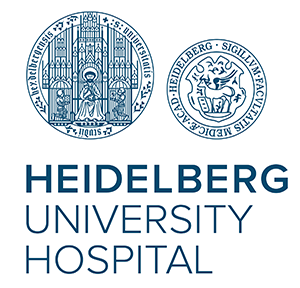 The coordinating institution Heidelberg University Hospital combines partners with experience in innovative cervical cancer early detection and public health. The department of Applied Tumor Biology discovers and evaluates novel means for screening and treatment of HPV-associated diseases. Based on new candidates they design, coordinate, and realize diagnostic and therapeutic clinical studies. Scientists from the Applied Tumor Biology had a strong impact in establishing the diagnostic role of p16 as a specific biomarker for transforming HPV infections. They have ongoing clinical trials on novel drugs for treatment of HPV-associated neoplasia. On the long run these may be implemented in cervical cancer screening approaches in sub-Saharan Africa. Both Heidelberg partners, the department of Applied Tumor Biology as well as the Institute of Public Health, have ongoing successful collaborations with Kenya and Ethiopia on HIV and cervical cancer. Our study team combines cervical cancer experts from the fields of cancer biology, epidemiology, biostatistics, clinical trials, public health, clinical oncology, and gynecology. All participants have prior experience with studies in Africa. This unique group will allow addressing the different proposed objectives with the necessary multidisciplinary approach and on a high level of scientific quality. Heidelberg University Hospital with its 44 specialized clinical departments is one of the leading medical centers in Europe. Every year, hundreds of thousands of patients from all over Germany and many other countries come here to make use of our modern treatment facilities. The highest standards of medical care are guaranteed by our world-renowned professors, distinguished physicians and committed nursing staff. Heidelberg University Hospital is constantly developing new methods of diagnosis and treatment at the forefront of biomedical science for the benefit of all patients. The department of Applied Tumor Biology investigates the molecular mechanisms of tumor development and progression. In patients’ diagnostics, analyses are performed for tumor classification and cancer early detection. In research, novel diagnostic markers and antigens, which are relevant for immunotherapy, are identified. Based on these markers, clinical studies are planned and performed. There is a close collaboration with different clinical and theoretical institutions as well as the National Center for Tumor Diseases (NCT), the German Cancer Research Center (DKFZ) and the European Molecular Biological Laboratory (EMBL), and several industrial partners. Our teaching activity comprises lectures, seminars, and colloquia in the field of applied tumor biology. 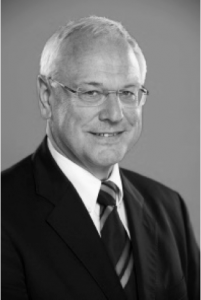 Hermann Bussmann has over 25 years of experience as clinician, clinical researcher, mentor and teacher in Africa. Over ten years he shaped and ran the district hospital in Mochudi, Botswana, including the introduction of diagnostic ultrasound on district hospital level, and the set up of the Kangaroo (skin-to-skin) care method to nurture premature babies. Between 2000 and 2014 he worked as a Senior Clinical Researcher with Professor M Essex in the Department of Immunology and Infectious Diseases at the Harvard School of Public Health, based in Botswana at the Botswana–Harvard Partnership. 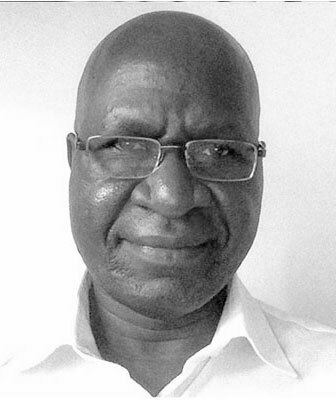 He was closely involved with the development and delivery of safe and eﬀective antiretroviral treatment (ART) options conducting clinical trials on efficacy and tolerability of ART in HIV-1C infections, studying primary and acquired ART drug resistance, and evaluating the long-term outcome of ART in Botswana. He also was closely involved in the design and implementation of community-based treatment-as-prevention (TasP) projects in Botswana. 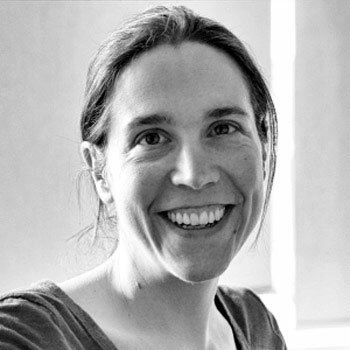 Dr. Miriam Reuschenbach, MD, studied medicine in Heidelberg (Germany), Prague (Czech Republic) and Durham (NC, USA) and graduated from the Heidelberg University Medical School in 2007. She subsequently trained in applied tumor biology, completed her MD thesis on human papillomavirus immunology in 2009 and has since then been leading the papillomavirus translational research group at the Department of Applied Tumor Biology at the Heidelberg University Hospital. Dr. Reuschenbach successfully designed and coordinated several clinical trials to discover novel and improved diagnostic and therapeutic tools for human papillomavirus-associated diseases. She particularly initiated studies for the evaluation of innovative cervical cancer early detection biomarkers in Sub-Sahara Africa and she is currently focusing on the clinical development of better therapeutic approaches that may support the success of cervical cancer early detection programs on the long-run. Her work has resulted in numerous scientific publications and is acknowledged by esteemed research awards. Magnus von Knebel Doeberitz is Professor of Molecular Oncology and Medical Director of the Department of Applied Tumor Biology, Institute of Pathology of the University of Heidelberg. He served as founder and board member of several biotech companies, including mtm labs a company that developed and marketed cervical cancer screening tests which was later acquired by Roche. He further is medical and scientific adviser to several pharmaceutical companies. Dr. von Knebel Doeberitz received his academic education from the medical schools of Ghent in Belgium, Hamburg, Freiburg, and Kiel in Germany, and from Penn State University, Hershey, PA, USA. 1985 to 1994 he spent his post doc at the Department of Applied Tumour Virology, German Cancer Research Center in the group of Nobel laureate Harald zur Hausen. 1995 to 2001 he served as Professor of Molecular Oncology and Head of the Section of Molecular Diagnostics and Therapy in the Department of Surgery, University of Heidelberg. 2001 he was appointed as Medical Director of the Department of Applied Tumor Biology at the Institute of Pathology, University of Heidelberg. His major scientific interests relate to mechanisms of human carcinogenesis the identification of novel diagnostic markers and potential therapeutic targets as well as their clinical validation and translation into routine medical care. He published more than 220 peer-reviewed articles. He is Associate Editor of the International Journal of Cancer and member of the Editorial Boards of various journals including Disease Markers, Journal of Cancer Research and Clinical Oncology, and The Cyto Journal. He received numerous scientific awards including the Ernst von Leyden Award for Cancer – Early Detection and Prevention in 1998, the Christoph-Wilhelm Hufeland Award for Cancer – Early Detection and Prevention in 2000 and the Distinguished Service Award of Cervical Cancer in 2006 (Eurogin Congress, Paris) and the Felix Burda Award in 2015. 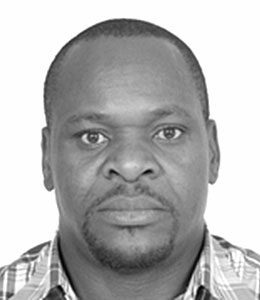 Elkanah Omenge Orang’o is a Senior Lecturer at Moi University School of Medicine and currently heads the Department of Reproductive Health. In his capacity as a consultant in Obstetrics & Gynaecology, specialized in gynecological oncology, he offers clinical care to patients at MTRH, the teaching hospital of Moi University School of Medicine. His research focuses on the design and development of cervical cancer screening methods tailored to the needs of resource-limited settings. He currently leads an implementation research study on the comparative performance of new cervical cancer screening tools. Edwin Were, currently an associate professor in the Department of Reproductive Health, Moi University School of Medicine, is a senior reproductive health specialist with over 20 years experience in provision of obstetrics and gynecological care in the context of a university teaching hospital. Dr Were has substantial research training including the Public Health training at Johns Hopkins University School of Public Health, the Arthur Ashe Foundation to Defeat AIDS Fellowship at Cornell University, New York and the Principles of STD/HIV Research at University of Washington, Seattle WA. He has been collaborating in pioneering international clinical trials to study HIV prevention methods and has a strong interest in promoting cervical cancer prevention especially among HIV-infected women. Caroline Ngugi, is a scientist and lecturer at the College of Health Sciences, Jomo Kenyatta University of Agriculture and technology (JKUAT). 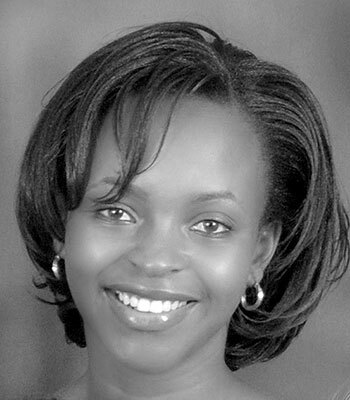 Dr Ngugi and her team have been involved with cervical cancer screening studies and initiatives since 2010. In her study she has currently screened 1500 women for cervical cancer. The study involves screening for cervical cancer with VIA/VILI, PAP test and CINTEC P16/ki67 dual stain test, This is in an effort to test the feasibility and application of the dual stain kit in resource limited settings. The study is based in Thika Level 5 Hospital in Kiambu County. The study has been in collaboration with a team from Institute of Applied Tumor Biology, Heidelberg University and has been funded by ADDRF, DAAD and NACOTSI. 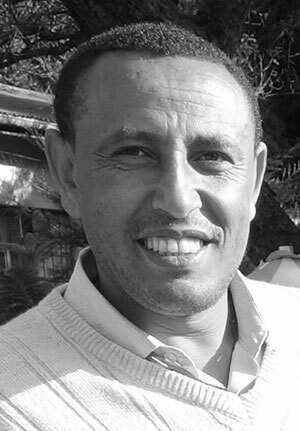 Abebaw Gebeyehu is currently the director of the Institute of Public Health, Gondar University, Ethiopia, and an assistant professor of Reproductive Health. He has extensive experience in medical practice and as head of health centers in leading the health center team of the Gondar region. In the last 10 years Dr Gebeyehu has been a lecturer in Public Health providing teaching in reproductive health, biostatistics, epidemiology, research methodology and communicable disease. Dr Gebeyehu is very interested and engaged in improving the delivery of community health services and has published his research in several national and international professional journals. 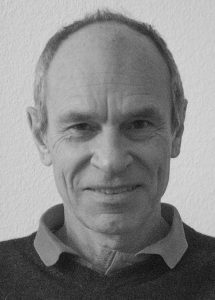 Dietmar Schmidt is Professor of Pathology with more than 38 years of experience working in different positions in the academic, public and private healthcare sectors. He received his academic education at the University of Kiel, Germany, where he also served as Deputy Chief of the Department of General Pathology. For many years he was Medical Director, synlab MVZ Pathology, Mannheim, Germany and recently joint the private Institute of Pathology in Viersen, Germany, as Head of the Department of Cytopathology. As an expert in gynecopathology he participated as study pathologist in several national tumor trials and advices the national guidelines related to cervical, endometrial and myometrial tumors. Prof Schmidt also serves the ETiCCS initiative as adviser and reference pathologist. He significantly contributed to the development of new diagnostic tests (CINtec Plus, mtm laboratories, Roche) for the detection of precancerous lesions in the prevention of cervical carcinoma. 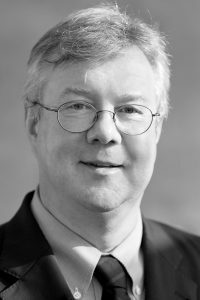 Prof. Schmidt is a member of many academic societies including the International Academy of Pathology (IAP), the United States and Canadian Academy of Pathology (USCAP), the German Society of Pathology, the European Society of Pathology, the German Cancer Society, and the International Academy of Cytology (IAC). Prof. Schmidt was Co-President of the recent XXXI International Congress of the International Academy of Pathology and 28th Congress of the European Society of Pathology in Cologne/Germany, 25-29 September 2016. He has authored and co-authored over 240 peer reviewed scientific publications and book chapters.